Research shows that cognitive behaviour therapy (CBT) is an effective treatment for common mental health disorders of mild to moderate severity. 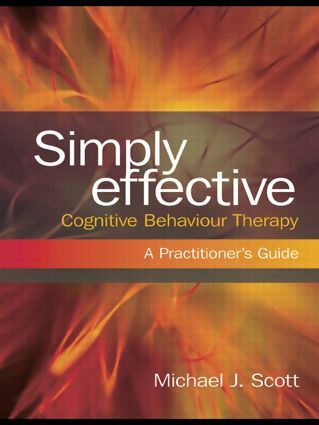 Simply Effective Cognitive Behaviour Therapy guides the therapist in treating clients effectively in a simple, structured, time-limited way, as well as indicating where additional treatment or referral is required, thus widening access to CBT. Simply Effective CBT is illustrated throughout with transcripts of sessions which serve as models for putting theory into practice. It provides the therapist with sufficient understanding of the cognitive theory of a disorder, enabling them to tailor the protocols provided to the needs of the individual. The appendices include a CBT Pocketbook - to guide treatment and assessment for each disorder - making it essential reading for all professionals using CBT.